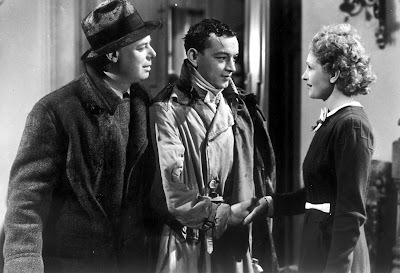 I first saw Jean Renoir's The Rules of the Game very early in my college career, and admittedly my initial response was "what's the big deal?" I was able to appreciate its craft, but it never captured my interest the way I felt like it should have. I found myself at a loss as to why this film was often spoken of in the same breath with Citizen Kane, as not just one of the greatest films of all time, but the greatest film of all time. For me, it was one of those classic films that felt more like eating your vegetables, they're good for you, but you don't necessarily enjoy them. Flash forward to today, as I was revisiting the film on Criterion's sparkling new blu-ray edition for this review, and suddenly it all opened up for me. Everything fell into place at last. This is what everyone has been talking about all these years - this is why this film is so universally revered. Perhaps it took some historical context (watching the films of Jean Vigo certainly lay the groundwork for where Renoir was coming from), perhaps it took some additional maturity, but for whatever reason, at long last, I knew why The Rules of the Game is regarded as such a peerless masterpiece. Like all great films, The Rules of the Game is filled with nearly boundless pleasures. It is a film to be savored, like a fine wine whose riches have only grown with age. After all, the film was a complete commercial flop upon its release, and subject to harsh cuts before finally being abandoned to WWII and a devastating fire after Renoir fled France. Reconstructed in 1959 in a slightly longer form under Renoir's supervision, the film has been awarded a second life, and a re-appreciation by filmmakers and critics for whom it has been hugely influential. Truly it is a masterpiece in every sense of the word, it is a scathing and yet strangely warm-hearted satire on France's haute bourgeoisie, a complacent society standing on the precipice of a world war that in 1939 was only just beginning. ﻿﻿﻿﻿﻿﻿﻿﻿﻿﻿﻿﻿1939 is often cited as Hollywood's golden year; the year of Gone with the Wind, The Wizard of Oz, Mr. Smith Goes to Washington, Ninotchka, Stagecoach, Dark Victory, Destry Rides Again, Gunga Din, The Hunchback of Notre Dame, and Young Mr. Lincoln. But in wasn't just Hollywood - Japan gave us Kenji Mizoguchi's The Story of the Late Chrysanthemums, Britain gave us Goodbye, Mr. Chips and The Four Feathers, and of course, France gave us The Rules of the Game, which, along with The Wizard of Oz, is perhaps the year's crowning achievement. And while the American films have endured more in the minds of the public, few have aged as gracefully as The Rules of the Game. While Gone with the Wind and The Wizard of Oz are remembered for their timeless stories, The Rules of the Game is a different beast altogether. It's not a movie particularly concerned with plot, instead it is meant as a portrait of a very specific class at a very specific point in time. Its characters, all gathered at a posh estate for a weekend of hunting and merrymaking, all flit in and out of each others bedrooms like a bunch of horny teenagers, driven as much by hormones as they are false senses of love. Upstairs and downstairs mingle indiscriminately, blinded by passion and, perhaps more grandly, a complete lack of self awareness, only focused on the pleasures of the here and now. ﻿﻿They are separated, however, by the "rules of the game," the societal dictations that rule their lives, but are more concerned with keeping up the appearance of dignity than with anything actually resembling propriety. Their entire lives are a farce, which Renoir demonstrates brilliantly in a masterfully constructed climax that has a jilted husband chasing his wife and her lover through the estate with a shotgun, turning the whole house upside down in a breathtaking homage to the ever popular bedroom door farce. But for a film that is so clearly a critique of a society that has lost its way, it never feels cynical or judgmental. 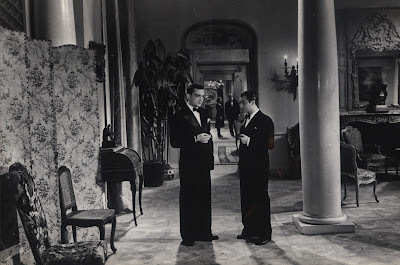 Renoir clearly has a strange affection for his characters, and after the zaniness of the film's climax, Renoir switches gears into a more serious, reflective mode that demonstrates the tragic dangers of their complacent frivolity as the world lurches into the dark uncertainty of what would become WWII. It's a haunting change of pace, ending on a note of melancholy uncertainty that, in hindsight, signaled the end of an era. While Renoir certainly could not have imagined the full extent of the horror that was about to descend across Europe, it now feels eerily prescient. Criterion's blu-ray transfer is unlikely to impress casual viewers, as it still contains quite a bit of grain, but for those familiar with the film it will be a welcome improvement. Blu-ray transfers of films like this can be tricky because the film can only be so clear due to age and wear. The image is cleaned up and as sharp as it has ever been, and the grain is warm and familiar rather than distracting. The film just feels right, and the folks at Criterion have captured it well. Many of the extras are repeats of the original DVD release, but they are a strong lot, including the original ending of the film and the first part of an excellent 1993 BBC documentary on Renoir by David Thompson. The set also includes a booklet with some excellent essays, and most notably, testimonials by filmmakers and critics about how The Rules of the Game inspired their careers. It's a fitting tribute to one of cinema's greatest achievements, and Criterion has given it the treatment it deserves. For longtime fans, the blu-ray will be an irresistible treat. For those just discovering its riches, a grand journey awaits them. The Rules of the Game is a film that truly deserves its reputation, and so much more, and deserves a special place on the shelf of every serious lover of film. 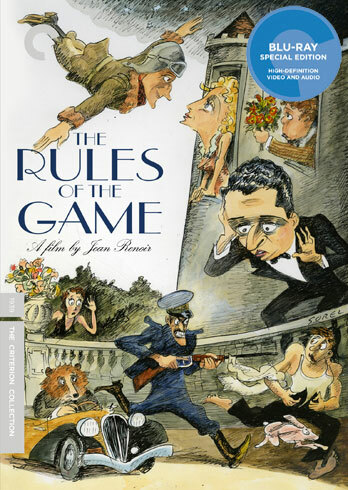 THE RULES OF THE GAME | Directed by Jean Renoir | Stars Nora Gregor, Paulette Dubost, Mila Parely, Marcel Dalio, Roland Tautain, Jean Renoir, Julien Carette | Not rated | In French w/English subtitles | Available 11/15 on blu-ray and DVD from the Criterion Collection.